"Ever wish that you could just fly away?" When fifteen-year-old Lucy Willows discovers that her father has a child from a brief affair, an eight-year-old boy who lives in her own suburban New Jersey town, she begins to question everything she thinks she knows about her home and her life. How could Lucy's father have betrayed the entire family? How could her mother forgive him? And why isn't her sister rocked by the news the way Lucy is? As her father's secret becomes her own, Lucy grows more and more isolated from her friends, her family, and even her boyfriend, Simon, the one person she thought understood her. When Lucy escapes to Maine, the home of her mysteriously estranged grandfather, she finally begins to get to the bottom of her family's secrets and lies. 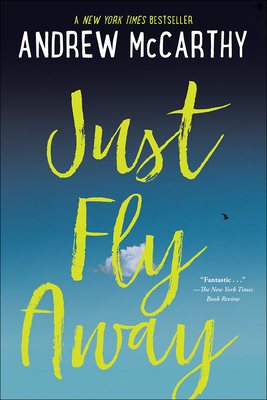 Just Fly Away is a debut novel about family secrets, first love, the limits of forgiveness, and finding one's way in the world from an award-winning writer, actor, and director.